Well we have a new website. Lobstering.com, we hate to see you go. One great new thing about the new site (there might be a couple others), is this blog. First of all, fishing stories are the best, so there’s that. Then there’s the not-so-great stories: I’m hoping to throw down on some of the regulatory, um, stuff. As a lot of you know, Bob’s gone and semi-retired (guest-blogger, maybe? ), but Myron’s still the man. 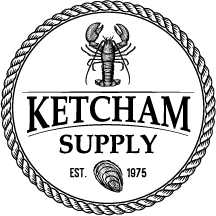 I’m Heather – the new Ketcham in town. I hope you like the new site. This entry was posted in Aquaculture, Company News. Bookmark the permalink.